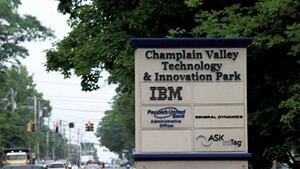 For months, GlobalFoundries was reportedly negotiating a deal to buy IBM's chip-making unit. Now, the Emirate of Abu Dhabi-owned company appears to be poaching Big Blue's Vermont employees. 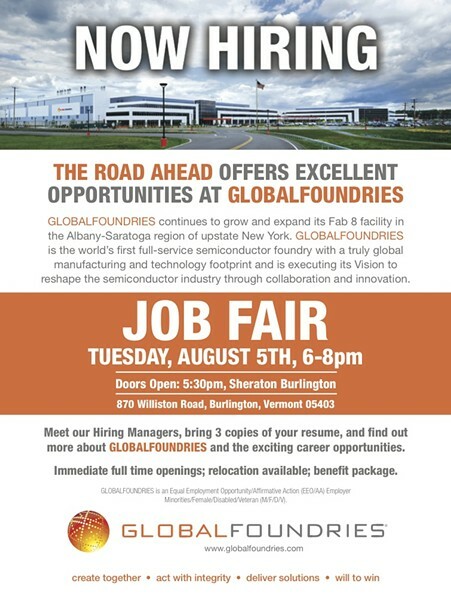 GlobalFoundries will hold a job fair Tuesday evening, August 5, from 6 to 8 p.m. at the Sheraton Burlington Hotel & Conference Center, according to spokesman Travis Bullard. It's one of "a couple of job fair events in various locations next week," Bullard says. 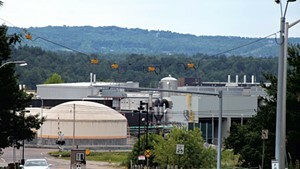 The company is hiring for its state-of-the-art Fab 8 microchip foundry in Malta, N.Y., just south of Saratoga Springs. Construction began at the facility in 2009 and continues to grow. It employed 2,400 people in June, Bullard said at the time, and could employ as many as 3,000 by the end of the year. Fab 8 manufactures 300-millimeter silicon wafers, which are later subdivided into microchips. IBM's Essex Junction plant produces 200-millimeter wafers, using older and less efficient technology. IBM does not report workforce numbers, but state officials estimate that its Vermont plant employs more than 4,000 people — down from its 2001 peak of 8,500. Bloomberg reported in June that GlobalFoundries was "nearing a deal" to buy IBM's chip-making unit, which includes the Essex Junction plant. But late last month, the same Bloomberg reporters wrote that negotiations had ended. Citing unnamed sources, the news organization said IBM had rejected an offer from GlobalFoundries as "too low." Since negotiations reportedly broke down, GlobalFoundries has stepped up its efforts to recruit IBM employees in Essex Junction and East Fishkill, N.Y. It's unclear whether the recruitment drive is an effort to pressure IBM to return to the bargaining table.